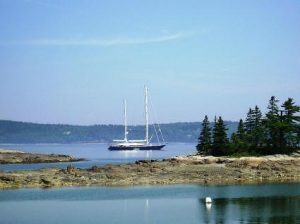 On a crewed yacht charter in Down East Maine, you might find yourselves actually cruising south and east on your charter yacht from the mainland, meaning actually cruising down and east. 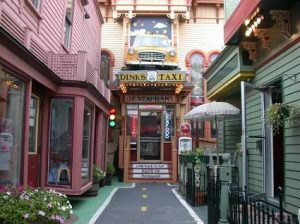 The Down East area is defined as the coastline and islands of the state of Maine from Penobscot Bay to the Canadian Border, and is a lovely yacht charter cruising area while on a yacht charter in these waters. With hundreds of pine covered rock studded islands, and waters filled full of cold water fish and shellfish, including the infamous Maine Lobster, this area is a yachtsmen’s delight and a great cruising area for a crewed yacht charter in New England. The term “Down East” is said to have been derived from trading days as clipper ships out of Boston had to sail east to Maine with the wind behind the stern, which meant sailing downwind in an easterly direction. Returning to Boston was sailing upwind in a westerly direction, and Mainers can still be heard to say that they are going up to Boston, even though Boston is actually at least 50 miles south. Included in this area is Acadia National Park with miles of hiking trails around Bar Harbor, and three National Wildlife Refuges. Great ports of call in Down East Maine are Camden, Rockland, and Bar Harbor on Mount Desert Island and also Southeast Harbor and Northwest Harbor, with islands in the area such as Vinalhaven and Deer Isle. Whale watching and puffin watching are great activities, as well as sea kayaking, hiking, and bicycling. 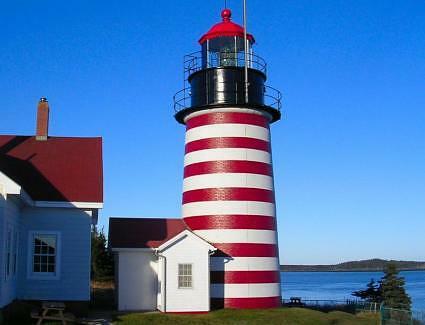 Light houses dot the area, many still used as navigational aids, with the most famous being the West Quoddy Light with a candy striped red and white painted light tower. 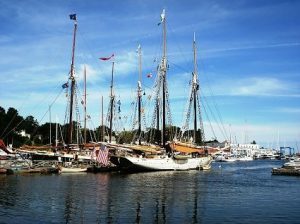 Around and about you will see the old wooden classic schooners such as the “Rachel B Jackson” or the “Mary Day”, taking day sailors out for a great historic sail Down East. On shore in the villages are little streets with trendy shops and boutiques, museums, antique shops and art galleries. Each village is well worth a stop to explore while cruising through Down East Maine on a crewed yacht charter, enjoying the waters, the seafood, the many islands, anchorages, villages and activities available in this unique cruising area on a crewed yacht charter.